The easiest part of a Net Neutrality debate is where you list out the cons, the wrongs, the evils. Basically, everything negative about a non-neutral entity. Simply put, this story was the easiest to write. Not only because it is the right stance on the issue but Facebook, through its actions over the past few months has done its fair share towards driving nails into its own coffin. If you’ve read through our article on what Net Neutrality stands for then you know why it is so important. And like everything under the sun, the definition of Net Neutrality has been interpreted differently by different parties to further their own cause. Facebook, despite creating a walled garden considers FreeBasics to adhere to their interpretation of Net Neutrality and characterises the original definition as a ‘puritarian view’. So what exactly is available on FreeBasics? Facebook maintains that any service that abides by their technical specifications can come onto the FreeBasics platform. At the time of writing this, there are currently 31 services across a narrow array of genres which include genuinely helpful ones like Wikipedia, wikiHow, AccuWeather, job search portals and few news portals. Then there are questionable ones like a service that dishes out Astrological advice. Previously, there was even a real estate portal as part of the small bouquet of services. Why questionable? How is a service that is supposed to bring the internet to those who cannot afford data packs in the first place be able to afford housing? The real estate service is no longer part of FreeBasics. But we must wonder where exactly these services come into play towards enriching the lives of the poor when Mark Zuckerberg said, “And in the 21st century, everyone also deserves access to the tools and information that can help them to achieve all those other public services, and all their fundamental social and economic rights. Quite a few partners have already quit FreeBasics in the midst of the massive backlash Internet.org received last year. ClearTrip, the online travel company, had this to say, “So while our original intent was noble, it is impossible to pretend there is no conflict of interest (both real and perceived) in our decision to be a participant in Internet.org”. And just as this article was being written, Google who’d been a partner since the launch of Internet.org quit the platform. Google has declined to reveal the rationale behind this move but a large entity like Google quitting a platform only raises more questions. Quite a few of the services on FreeBasics that benefit the poor are already in place through various government grassroots programmes so the issue then becomes that of convenience of getting the same information in the palm of your hand rather than travelling, say a few kilometers, to the nearest government office. However, knowledge without proper education to interpret the same is a dangerous issue. Especially, when it comes to issues like child care. Which is why it is always advisable to avail the services of a trained personnel rather than resorting to self medication. And one of the reasons why government programmes succeed is that you need the right information and a guiding hand to coax the underprivileged. Let us thrown in the age-old analogy of teaching a man to fish versus giving it to him. 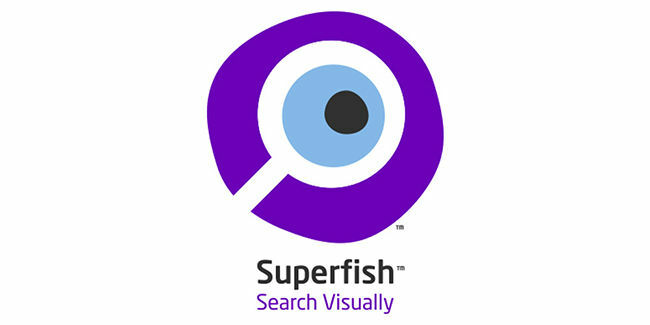 FreeBasics is akin to showing a starving man just the photo of a fish and telling him it’s edible. No device is ever free and we all know that. So the contention is that any TSP (Telecommunications Service Provider) that partners with Facebook – Reliance in this case – has to spend a significant amount towards setting up the infrastructure required to make space for an additional one billion Indian who don’t have access to it. Our contention is that TSPs are going to spend that money either ways just to cater to our organic growth. Add to this, the fact that the services on FreeBasics are going to be heavily stripped down to reduce the data footprint. And that there will be a contention ratio put in place, which for consumers is set to a minimum of 1:50 by TRAI for broadband consumers. Since Free Basics is even more data efficient, it could end up being much lower. Essentially, TSPs will not have to spend an awful lot to build the infrastructure. One of the major expenditures we foresee is that infrastructure will have to be built in rural areas which aren’t prime for high bandwidth consumption and subsequently, revenue from rural areas will be lower. But Facebook in its anniversary report mentioned that 50 per cent of the customers using Free Basics subscribed to a paid plan after the very first month. Essentially, Reliance will have to foot the bill for half the customers after one month. Whether the other half continues to be on the platform was not revealed. And this pattern was observed in the many other countries that Free Basics currently exists excluding India. So is one half paying for the whole enough to sustain the infrastructure growth? If we go by profitability of telecom companies, the answer is probably yes. Since Facebook has claimed that half the users to indeed pay, you could say that the TSP’s are not going to burn their fingers as they do have a pretty good idea about the outcome. No Ads? So how will they make money? Facebook has mentioned that there will be no advertisements on Free Basics but it hasn’t mentioned whether this model will be followed forever or if it is ‘subject to change’. But companies change service agreements whenever greed takes over or if it is actually necessitated to ensure the survival of the company. What makes us skeptical of Facebook’s intentions is because of what VP of Internet.org, Chris Daniels said in an AMA(Ask Me Anything) on Reddit – “While we haven’t found any business model where ad revenue could pay for people’s access to the internet (look at Facebook’s revenue, it's far, far less than the revenue operators receive from data charges), if there is a way that we can do so, then we want to be able to explore that in the future”. This comes from the company that posted a growth in advertising revenue by 53 per cent in the UK with 70 percent of that share coming from mobile ad sales. If we are to take another example, the advertising giant, Google, is set to earn over a billion dollars in ad revenue from the Indian market and market analysts have said that Facebook’s Free Basics program of getting TSPs to pay for the bandwidth, if implemented will be a game changer towards earning revenue through advertising. 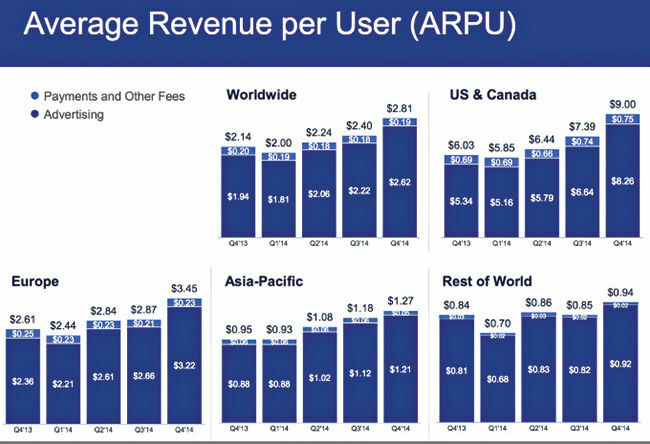 So why exactly is Facebook saying that mobile ad revenue cannot sustain the Free Basics system? It seems that Facebook is lying through their teeth. The advertising model on an open internet can easily pay for the entire Free Basics program and allow Facebook to foot the TSP’s bill, especially when Google says so. Which begs the question of placing our trust on Facebook. Will they be fair? History says, no. Consider the case of WhatsApp, the extremely popular messaging client that was bought by Facebook. Around November last year, news about Telegram – a competing messaging client – started doing the rounds. And being the popular mode of communication that WhatsApp is, a lot of people started spreading the word about Telegram via WhatsApp. And they discovered something very peculiar. 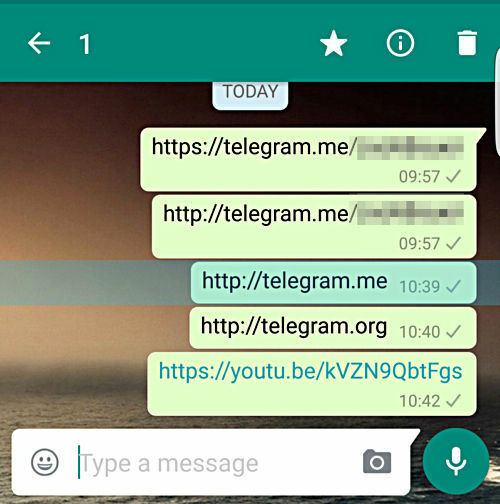 WhatsApp had made it so, that whenever a link to Telegram’s website was shared on WhatsApp, not only was the link not clickable but you couldn’t even copy the text so that you could paste it in a web browser. Users had to manually type in the URL after getting a message on WhatsApp. It is understandable that WhatsApp wouldn’t want a rival client getting publicised via its own platform but what this incident tells us is that, Facebook, through WhatsApp wishes to retain a level of control over what their users see. Speaking of the vetting process, Facebook did receive quite a bit of flak when they mentioned that they’ll be doing the vetting process themselves. So when they decided to name a ‘third-party’, whom did they pick? IAMAI and NASSCOM. IAMAI stands for the Internet and Mobile Association of India. If the name didn’t make it obvious, then let it be clear that the so called ‘third-party’ is a lobby for the very Telcos that Facebook plans to tie up with. As if that wasn’t proof of ulterior motives, then Kirthiga Reddy, Facebook’s MD is the Vice-Chairman. It seems Facebook not only defines Net Neutrality incorrectly, but they seem to consider the term ‘third-party’ to be equivalent to family. Let’s now take a look at all the countries where Free Basics is operational. Take Bogota for example. Karisma, a digital-rights group in Bogota came across a troubling discovery. Here’s what Carolina Botero, Karisma’s President had to say, “We have done some informal inquiries in the neighborhoods and found that people don’t realize they are only on Facebook—not on the Internet”. The phrase ‘walled garden’ suddenly comes to mind. Or if we are to phrase it in another manner. This is exactly what is meant by a two-tier internet. 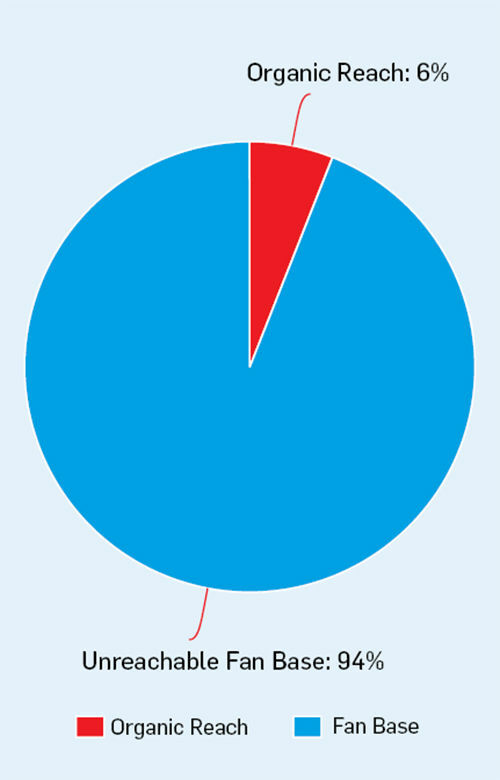 One is which Facebook and TSPs maintain a stranglehold over. And the other is the real, open and expensive internet. Welcome to the Matrix, Ganesh! We can never say if we’ll ever come across a pop-culture reference so apt for this situation. Those poor people whose first experience of the Internet is what Facebook decides to show him is akin to the machines hooking newborn babies straight into the matrix – an artificial world created to enslave human beings to be a source of energy, simply put, a battery. Free Basics is nothing but the same, an ecosystem that considers its subjects to be sources of revenue. It will mine their data and later sell the same to the highest bidder. Also, if you are to believe that Facebook’s altruistic intentions are nothing but the beginning of an elaborate bait and switch, then you wouldn’t be wrong. Because this wouldn’t be the first time it would have resorted to such a tactic. Previously, Facebook spent an equally ridiculous amount of money convincing brands to invest in establishing Facebook pages and building a community around it. And once brands had invested a lot of money to build such a presence on Facebook, it modified its algorithms to reduce the ‘reach’ of community pages under the pretext of ramping up its privacy policies. The organic ‘reach’ was effectively reduced to an average of six per cent. So if you happen to be a big brand who spent a lot in getting a lot of people to ‘Like’ your page, then your posts – after the policy change – will only be shown to about six per cent of your fans unless … you paid up. Strike four! Get off the field already! And it isn’t just Facebook who can direct policy. Even the TSPs are major stakeholders and with each new Telco that signs up to be a part of Free Basics, there’s one more greedy corporation with vested interests trying to make money off the subscriber base. We understand Mark Zuckerberg’s noble intentions of uplifting the poor by giving them access to the internet. But he is not giving the poor access to the internet. The very fact that they’re introduced to a walled garden that Facebook masks as ‘the internet’ goes against the very principles of Net Neutrality. And blatantly lying about not being able to sustain the system on an ad-based revenue model should be more than enough to get alarm bells ringing. And masquerading Internet.org as Free Basics just to stave off some of the back lash is characteristic of shifty behaviour. Facebook is not a non-profit organisation. It cannot get an expensive investment past the board of directors without elaborating upon the financial gains or ROI (Return on Investment). Mark Zuckerberg is right about users wanting to opt for the full internet and claims that Free Basics the the gateway to enriching people’s lives. But why give the people a walled garden? Why take away choice? Why blatantly lie about a revenue model that sustains the biggest conglomerates on the planet? Blocking VoIP on Free Basics is understandable, after all, allowing it is the equivalent of suicide for Telcos but everything else makes no sense. Mark Zuckerberg is right about Free Basics being a gateway. A gateway towards killing the internet that we know and bringing in its place, a castrated version that strives to serve not the people but the entities that are stakeholders. Free Basics will pave the way for a multi-tiered internet with the poorest being able to afford the cheapest package, one which will reportedly have been ‘subsidised’ by big corporations in lieu of their services being given priority. This ramifications of such preferential treatment has been covered by multiple articles in depth over the years. No new services will ever be able to gain a foothold since their pockets wouldn’t be deep enough to gain preferential treatment and they’ll all die slowly or get consumed by big corporations. Slowly, the entire internet will manifest as a monopoly or a farcical duopoly with one tier controlled by corporations and the other controlled by the government. 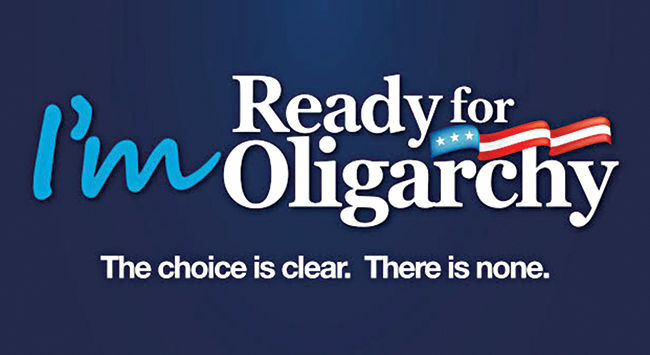 It slowly makes the rich richer and the poor poorer, maintaining status-quo for a long time. TRAI’s debate on differential pricing is still underway and recently, even the PMO has stepped in. So you must be pining to know if there are models that provide the internet in its complete form and can sustain itself. There are. 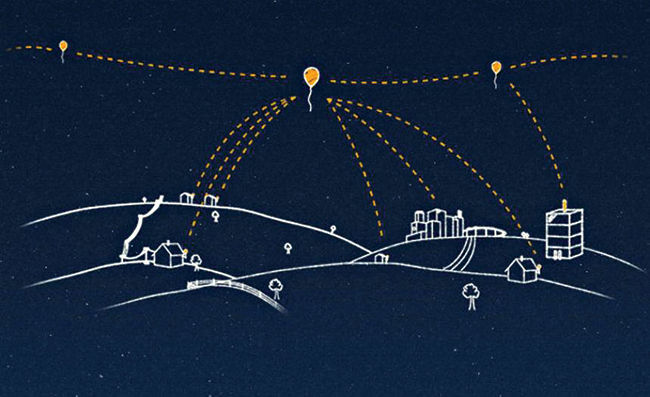 Project loon is an innovative way towards bringing internet to rural environments. It involves sending up balloons 20 KM up into the stratosphere where wind speeds are low and turbulence is low. A network of such balloons spread over rural areas then use directional antennae to bring internet to the masses using LTE bands.. 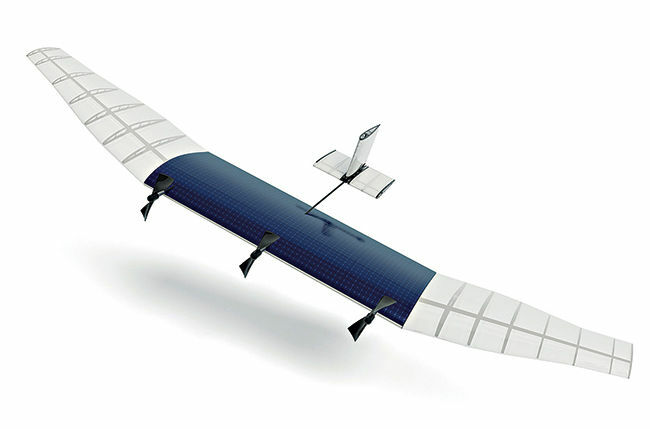 Even Facebook has a similar program, Aquila, with balloons swapped out for drones. That’s right, drones the size of a Boeing 737 aircraft. Everything else is pretty similar to Project loon. Back home, Aircel – a TSP with a huge user base in South India – introduced a scheme where new subscribers get 90 days of Internet access at speeds of 64 kbps with no data cap. This new connection costs Rs. 144 which works out to Rs. 48 per month. Quite affordable and while it is an introductory offer, it can easily be subsidized to be made sustainable for the TSP. Our neighbours in Bangladesh have the privilege of trying out another such service. Grameenphone, part of the Telenor group, has an app called WowBox on the play store which gives offers a similar set of services like Facebook, except for one major difference. The user earns tokens which can be used to purchase data packs, so purely by opening a few pages and participating in offers the users can earn data which can be used to access the entire internet. And this service has sustained itself for a little over a year. Another example is that of Jana. Jana released an app by the name of mCent in India with offers that reward users with data packs. In less than a year, mCent gained more than 30 million users and it managed to grow tremendously over this period. It’s annual revenue went from a few hundred thousand dollars to 50 million in under a year. A 2013 study by Nielsen found that 50 per cent of the users are willing to pay to get access to better services from socially responsible companies. So it doesn’t matter whether you give users a walled garden or an open internet. That 50 percent will pay. So why put up the walled garden in the first place? Why spend money to ensure a walled garden when it has no effect on the outcome? It’s all about control. And influencing your controlled user base to make more money. It’s this very fact of hiding these intentions behind the guise of altruism that makes Facebook what it is, a for-profit corporate entity which eyes each new user as a source of revenue and nothing else. Around the world, the concept of Net Neutrality is far from being reality as you’ll soon find out. A few decades back, the concept of independence was the same. Someone has to fight the good fight, even if it ends up being a thankless job. The world has India to thank for the concept of Satyagraha, maybe it’s time we added Net Neutrality to that list even if decades later people might take Net Neutrality for granted the same way we take our independence for granted. We don’t doubt Mark Zuckerberg’s genuine intentions of uplifting the poor but the way Facebook is going about the same is plain wrong. 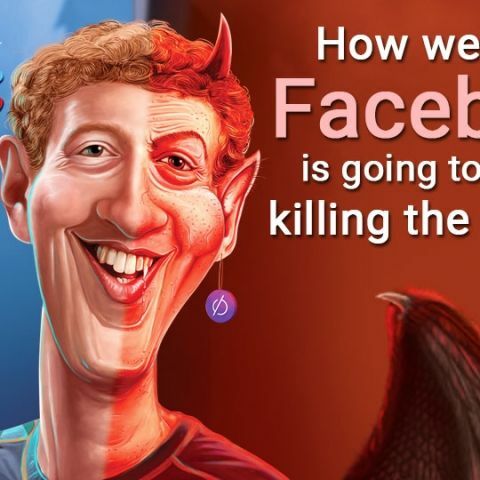 In a parallel universe, It might very well be that Facebook is trying to do the right thing and it is actually the Telcos that are being evil. We can never know for sure. Afterall, the road to hell is paved with good intentions. If you're interested, we've played Devil's Advocate and argued this from the flip side as well. Do give it a read.